Each week, FIFA Mobile has a playable Coin Up Live Event that rewards Tokens that relate to different soccer matches from around the world. Upon completing the Live Event, players receive a Coin Up Token with a specific requirement. If it happens in the real world, the player earns an awesome coin prize! 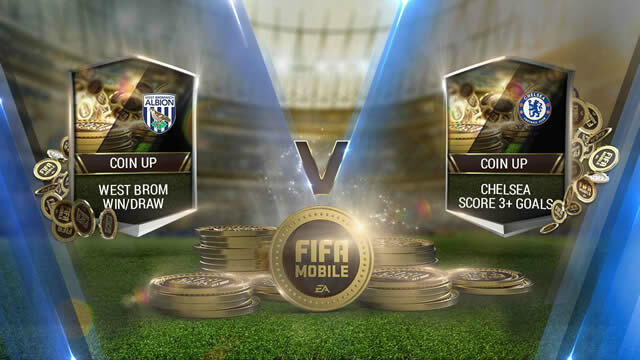 FIFA Mobile's "Coin Up" has a variety Coin Up Tokens for players to win. The more challenging the task on the Token, the better the prize if it happens. How to Prepare for FIFA Mobile New Season? Will there is FIFA Mobile 18 or a reset in the near future?